National boundaries pose little or no obstacle to tax evasion. 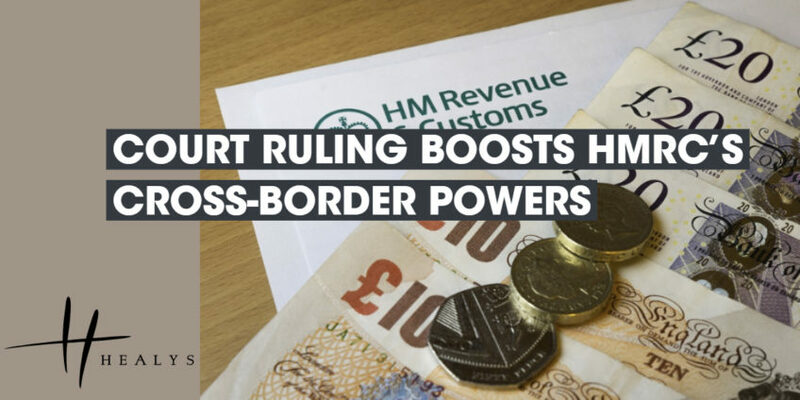 The Court of Appeal made that point in an important ruling which has greatly boosted the ability of HM Revenue and Customs (HMRC) to pursue inquiries beyond the borders of the UK. HMRC were investigating the tax affairs of a Spanish businessman who had resided in the UK with his former wife and children for a number of years – during which he was a UK taxpayer – before moving to the United Arab Emirates (UAE). HMRC issued a notice under the Finance Act 2008, requiring him to provide extensive information concerning his tax affairs, and served it on him in the UAE. The businessman argued that the relevant provisions of the Act should be construed in accordance with the presumption that, unless stated otherwise, Parliament would not have intended to confer an extra-territorial power on HMRC that could be exercised in breach of international law. Service of the notice in the UAE was objectionable in that it amounted to HMRC purporting to exercise enforcement jurisdiction within the territory of a sovereign state. The notice was quashed after a judge upheld the businessman’s judicial review challenge. In upholding HMRC’s appeal against that decision, the Court found that the power to issue information notices under the Act has extra-territorial reach. The Court pointed to the powerful public interest in the effective prevention of tax evasion, which often has a cross-border aspect, and ruled that the businessman was sufficiently connected to the UK to justify service of the notice on him abroad. The Court noted that Income Tax is chargeable on the UK income of non-UK residents and that Capital Gains Tax can be levied on chargeable gains yielded from the disposal of UK property by non-residents. Likewise, Stamp Duty Land Tax is payable by purchasers of property who are non-UK resident. Inheritance Tax applies to the worldwide property of anyone domiciled in the UK, regardless of where he or she is resident. The financial penalties for non-compliance with information notices are civil, rather than criminal, and there is nothing in the wording of the Act to compel the conclusion that the relevant power is only exercisable in the UK. Service of the notice did not require the UAE to perform any official act. In those circumstances, it did not impinge upon the sovereignty of the UAE or breach international law.